German Emsa Coaster set from Home Style Collect here. Just look at these fine gems I found at retro shop Home Style Collect on Etsy. This shop is run by Mark van der Werf from Rotterdam, The Netherlands. 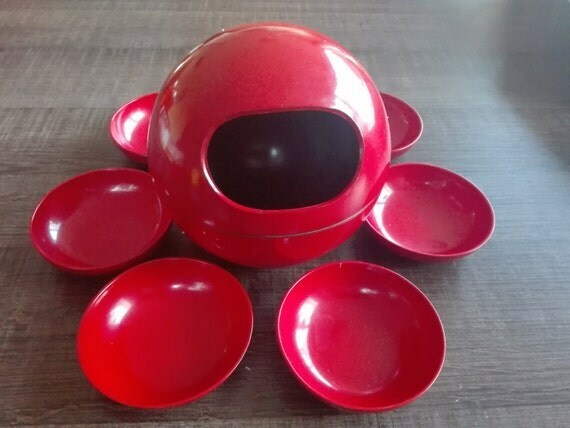 In it you will find mid century modern items of all kinds and plastic just waiting to be had. Today I found a stash of Emsa German products are hidden in this shop, and wanted to expose it and tell you more about this plastic ware! 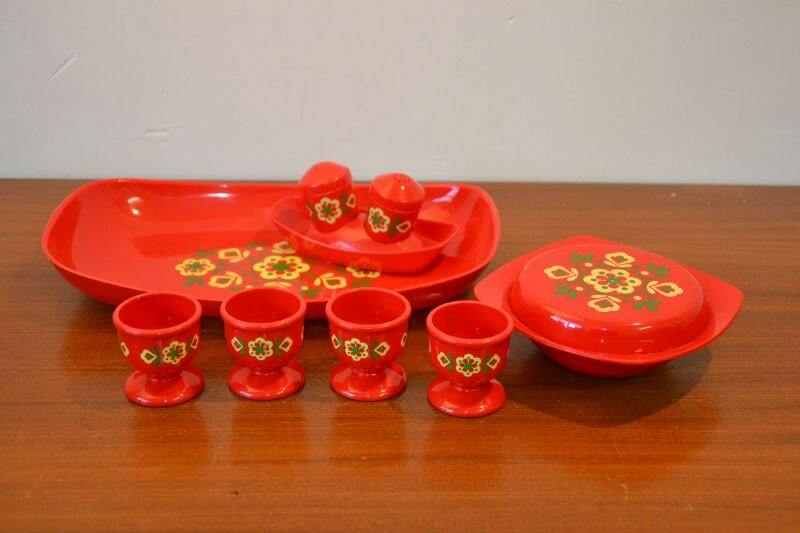 Emsa German plastic has been quite hard for me to find, possibly because most of these wares were used overseas. The company was founded in 1949 by Franz Wulf. According to Wikipedia, the Company went by Franz Wulf & Company Plasticwarenfabrik and was located in Greven, Germany. They are still operational today! Egg cups were quite popular throughout Europe and vintage examples can still be found today. 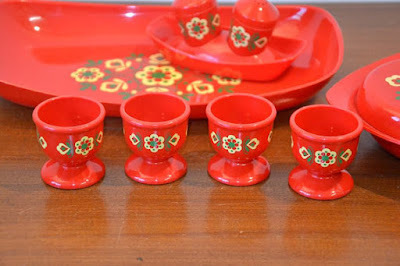 Some of Emsa's egg cups were stout, adorable and footed making them more on the fancy side. Due to their functionality and lightweight it is totally conceivable that that some of these ended up shipped to the States as holiday gifts as the cost was low for such light plastic items. Perhaps this is why these, as well as spoon rests or drip catchers are easily found here (more so than other items). It is said that Plasticwarenfabrik's first item was a butterfly drip catcher. I am quite sure this can still be found but mistaken as a spoon rest. If I happen across one, I'll be sure to post it. In the 1970's patents were applied by Franz Breitenbach for a Cat, Great Horned Owl and Monkey Figurine. 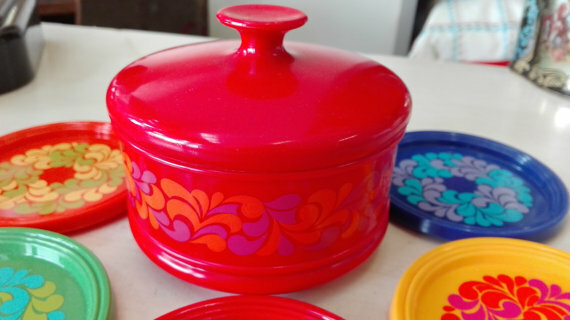 Although not melmac or melamine, this was certainly a great plastic manufacturer that should be noted. Today Emsa makes everything from kitchenwares to flower boxes. 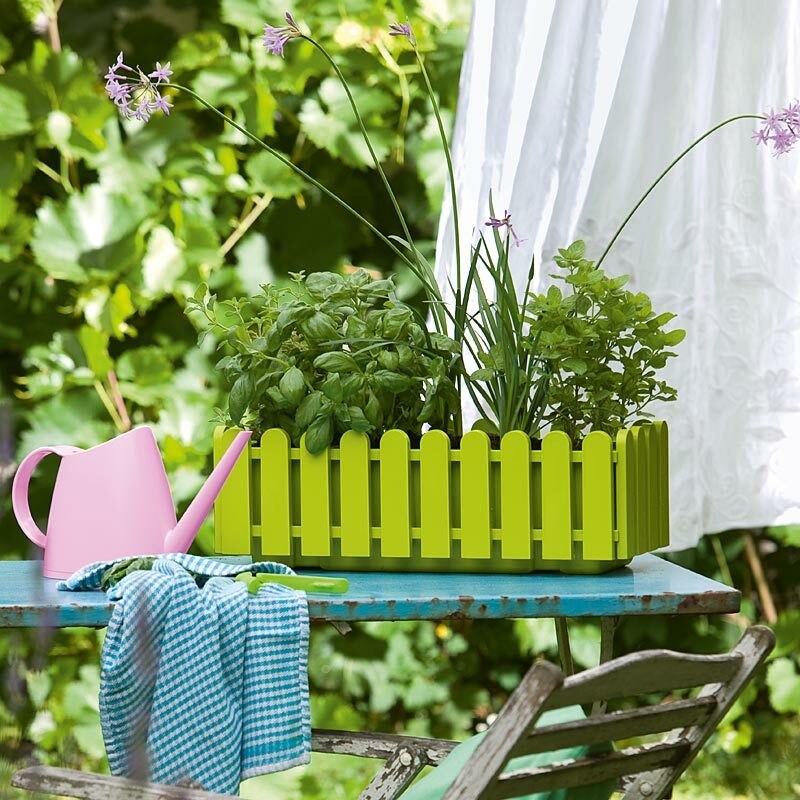 My favorite is this called Landhaus, which is a picket fence style available in hot pink, blue or green. They also made bird feeders to match. The whole Landhaus line is for the home and is quite stunning and chic. As for Home Style Collect, they have much vintage plastic in stock, not just Emsa. You'll find a big allotment from 1940s to 1970s here, and decorations for your entire home. Here are a few of my favorite items! 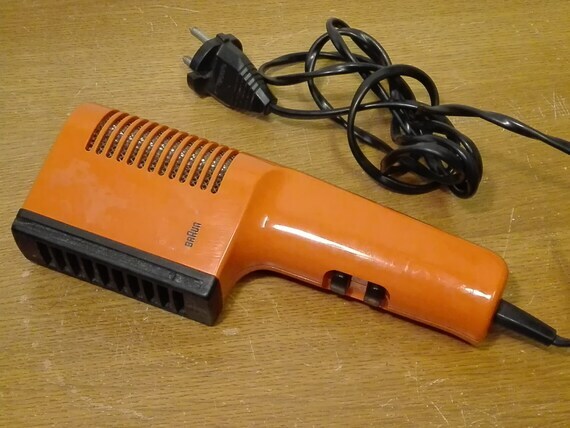 1972 Vintage Braun hairdryer $29.02! HomeStyleCollect tells us the hairdryer above was fashioned by Reinhold Weiss, for Braun. A similar style was made in the USA but I am not certain if it was the same designer or a copy, I actually use one! 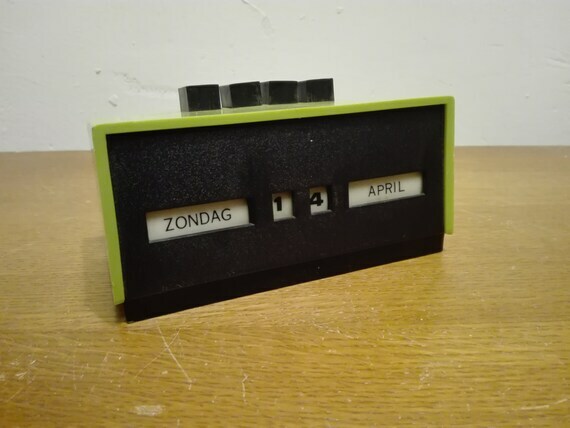 Below, a date changer made in the UK fashioned of plastic for the Dutch is a registered design and in modern colors! Only $12.59 this very mod looking Dutch Date Changer is a steal! Melamine Attack! Who did this great atomic design (below) in red? Surely some famous designer! 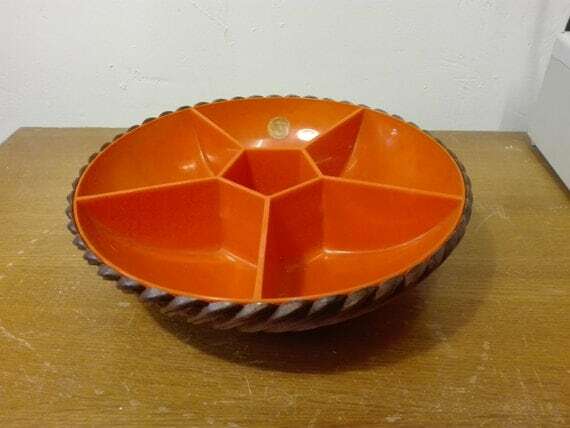 The peanut bowl is covered as so no dust or dirt goes in it, and the members of the card game or guests at your cookout function will each have their own individual bowl. A stunning piece of history! Mystery Atomic Bowl Melamine Melmac by Home Style Collect $25.74 here. 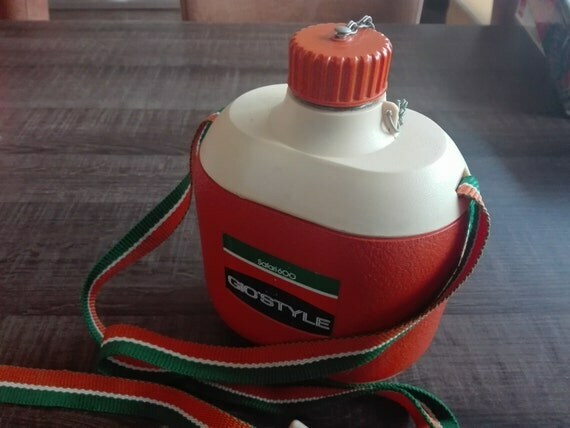 The Safari 600 above thermos was made in Italy ! Simply stunning retro design and not to mention still fully functional!